I wrote a few weeks back about the orderly process of obtaining time on telescopes. Once or twice a year you write a proposal that explains exactly what you want to do with the telescope and why and what you hope to accomplish, and all of the proposals are read by another group of astronomers who pick the ones they think are the best, and they assign them to nights on the telescope. So controlled. So rational. This annual or biannual cycle is about right for keeping up with new ideas and new discoveries and working on them to the point where you can write something coherent and convincing for a proposal. If proposals were accepted every month instead of every six months, you would have nothing new to write. If they were accepted once every 5 years, you would have new ideas in the interim that there were no ways to explore. I like the system. But, every once in a while, something happens where you need to be at a telescope right now, and you didn’t realize it in time to have written a proposal six months or a year ago. Such is the case for me at this very moment. First, a little history. We discovered the Kuiper belt object 2003 EL61 (which has no real name, only this license plate number; I’ll explain why, and my irritation with the IAU for refusing to allow this object to get a name, in a later posting) back on Dec 28th, 2004 (with the discovery so close to Christmas and no other name forthcoming, we generally refer to this object as Santa). Within about a month we had discovered that Santa had a moon around it (which we call Rudolph, of course). By mid-summer we had collected enough data to be able to calculate the precise orbit of Rudolph around Santa. We found that Rudolph goes around Santa every 49 days in a nearly circular orbit, and, interestingly, the orbit is currently almost edge on to us. Orbits can be edge on or face on or anywhere in between. Face on means that we are viewing the orbit from above, and we see the moon circling the object. Edge on means that we are viewing the orbit from the side and all we see is the moon going up and down in a line. In between we would go from the circle of face on, through a series of increasingly squashed ellipses, until finally we got to the straight line of edge on. When we looked exceedingly closely at Rudolph we realized that it wasn’t quite perfectly edge on, we could see a tiny little bit of the squashed ellipse. By the fall of 2005 we realized that something else was going on, too. Santa and Rudolph had another companion. It had been in the data all along, but we hadn’t noticed it at first because it was so much closer and fainter than Rudolph that sometimes the data weren’t good enough to discern it. We call this one Blitzen. Because we couldn’t always see Blitzen we couldn’t actually calculate its orbit around Santa. Complicating matters even more, Blitzen is so close to Rudolph that the extra gravitational pull from Rudolph continuously changes Blitzen’s orbit. Figureing out Blitzen’s orbit was going to be very complicated. Since then, we have continued to try to see where Blitzen is, but we still have a hard time. In 2006 we got some nice images of Blitzen with the Hubble Space Telescope, but not enough, because Rudolph had already changed the orbit from 2005. In 2007 we tried and tried and tried at the Gemini telescope with only a little success, and, this year, getting a picture of Blitzen was one of our main goals for the laser guide star adaptive optics Keck trip that happened last month. We still lack enough data to figure out the precise orbit, but from the most recent good picture that we got a few weeks back we suddenly realized that the orbit of Blitzen appears to be exactly edge on. We had always known it was close, but we never had good enough data to see precisely how close. Now we think we do. An orbit that is edge on will not stay that way long. As Santa goes around the sun, our viewing angle of the orbit will change. If it is edge on now, it will slowly move to more face on before moving again to edge on in about 130 years. While most of the time we don’t care exactly what orientation an orbit is to us, edge on is special. Edge on means that sometimes Blitzen travels directly in front of Santa, and sometimes directly behind. The shadow of Blitzen will at times traverse the face of Santa. All of these things give us the opportunity to learn things about Santa and about Blitzen that we have no other way of knowing. If we can see the shadow hit the face of Santa (by looking for a slight dimming in the overall light from Santa), we will know, much more precisely than any other way possible, where Blitzen is, the size of Santa and Blitzen, how bright Blitzen is, and many other things that we had only dreamed of knowing before. Edge on orbits are fantastic scientific boon! Even though we think we now have enough data to know that the orbit is edge on, Rudolph still changes Blitzen’s orbit around enough that we still don’t have enough data to calculate the orbit well enough to know when the shadow will transit or when Blitzen will be eclipsed. For that we need more time at the telescope. Usually we would just wait until next year to write another proposal, but it is very likely that by next year the edge on orbit will have opened slightly, and the all of the shadows and eclipses and occultations that have been taking place unobserved will not occur again for 130 years. What to do? The only sure-fire solution is to use the Hubble Space Telescope. While we could try telescopes here on the ground, the vagaries of weather and the variable quality of the data mean that there is still a pretty good chance that we wouldn’t know the orbit soon enough. The Hubble, however, sitting high above the earth, has no weather to contend with. We know exactly what we are going to get, and we know exactly how good it is going to be. We need Hubble! But the proposals to use the Hubble were due a month ago. We have to wait 11 months for our next shot. Luckily, people who run telescopes are smart enough to have foreseen things like this long ago. The Hubble has a special proposal you can write at any time, called a Director’s Discretionary proposal, which can turn the telescope to a new target at a moment’s notice (well, ok, at a week or two notice). Just the thing! So this week has been emergency proposal week. In between teaching geology class, writing a paper, preparing for a scientific talk at JPL on Monday, and spending time with my family, I wrote an emergency Director’s Discretionary proposal. It is not the best proposal I’ve ever written, but I think it makes the case. We need to know the precise orbit of Blitzen now so we can figure out when shadows and transits and occultations occur. And when we figure all of this out we need to make the information public as quickly as possible so everyone with a big telescope has the opportunity to make measurements of these events. And without the Hubble Space Telescope we will know this all too late. Therefore please please (pretty please) let us use the telescope. The proposal goes to the director today. The decision is made by next week. If accepted, the pictures would be taken in a few weeks, and we would know when the first events would be occurring within about a month. Got a big telescope with which you want to chase a moon shadow with me? Stay tuned. It would be great if, in your ample spare time, you could post an image or three of Santa and his rein-moons. 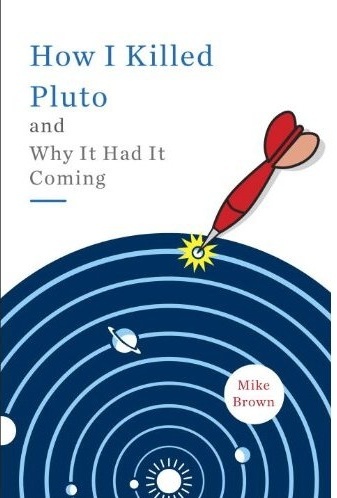 Mike, is there any way a supportive note could be sent on your behalf, or, as with all politics these days, would that only disrupt your chances of getting time on the Hubble? Also, if you have a moment, is there a link to comprehensive, or a preferred site, where the Hubble image of "Blitzen" and where photographs and other general orbital data - slightly above the lay understanding - where we who pay for Hubble could see what there is to see and learn what we might be able to learn about Santa and, in particular, more about the new Kuiper Belt so-called Dwarf Planets? Thanks for the thought. I think your instinct is right; going around official channels would probably be seen as pushy. I think our chances are good, though. It doesn't have the nice HST picture; I should post it on there (as Greg, too, suggests! ).